each, and a pair of sibyls carved in relief inside (fig. 41). personality that seems to go beyond the intentions of the author. 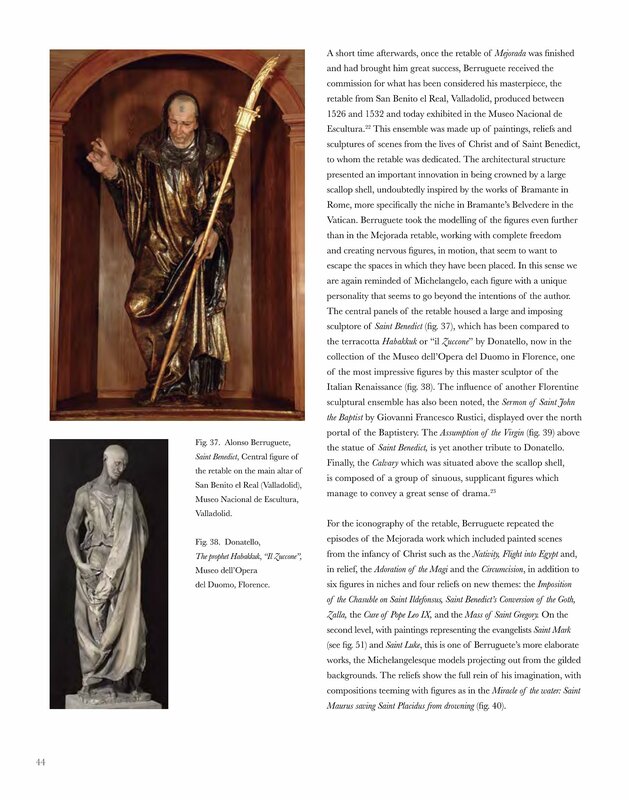 the statue of Saint Benedict, is yet another tribute to Donatello. manage to convey a great sense of drama. not abandon the models used for the retable from San Benito. Maurus saving Saint Placidus from drowning (fig. 40). accommodate the tastes of the clientele around him.